The Future Belongs to Those Who Build It! 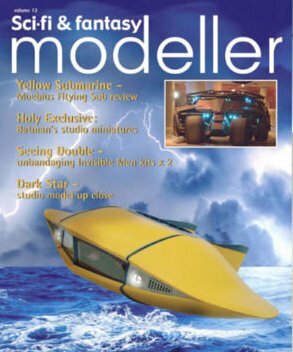 Sci-Fi and Fantasy Modeller Volume 13 includes: Moebius Flying Sub. We've got the kit, we've got the build - our exclusive brings you the full story on this instant classic. - Paul Taglianetti takes an up close look at the filming miniatures for the Batman movies. - Invisible Man Squared - two takes on the classic subject, including the new Moebius kit and an awesome diorama. - Dark Star - the filming miniature revealed. And that's just for starters! 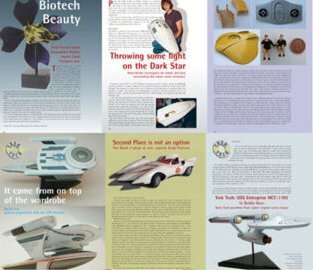 Volume Thirteen is packed with exclusive stories and photographs, kit reviews and many more modeling treats! Softcover, 100 Pages - Imported from the UK.